It was 8am, and the sun was lazily illuminating the surface of the glassy water at the Dili Port when we arrived to catch a local fishing boat from the mainland to Atauro Island, Timor-Leste. 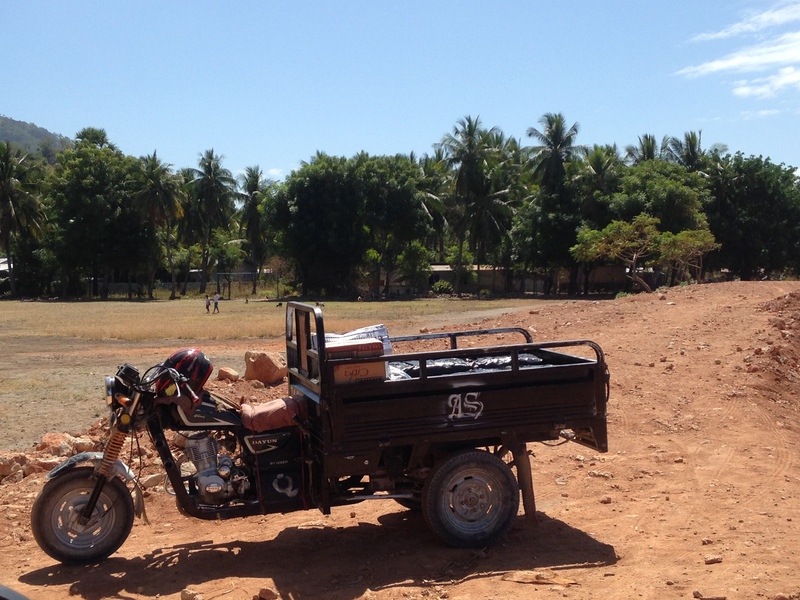 With baggage in tow, we had walked to the Port from East Timor Backpackers, which took approximately 20 minutes. All we knew was if we arrived at the port before 9am, we could arrange a local fisherman to take us to Atauro Island. We waited on the benches at the port where, luckily, we could purchase coffee and noodles to fill up on before the long journey ahead. At 9am on the dot, we were taken to the boat. Our bags were packed in the boat along with cement, rice, a king-sized mattress and plenty of other supplies the fishermen were transporting to Atauro Island. The luggage was covered with five layers of water-proof covering, wooden planks and finally a bamboo mat, on which we were to sit. Twelve people piled on the boat, finding a spot on the bamboo mat to curl up and sleep, or watch the ocean go past. 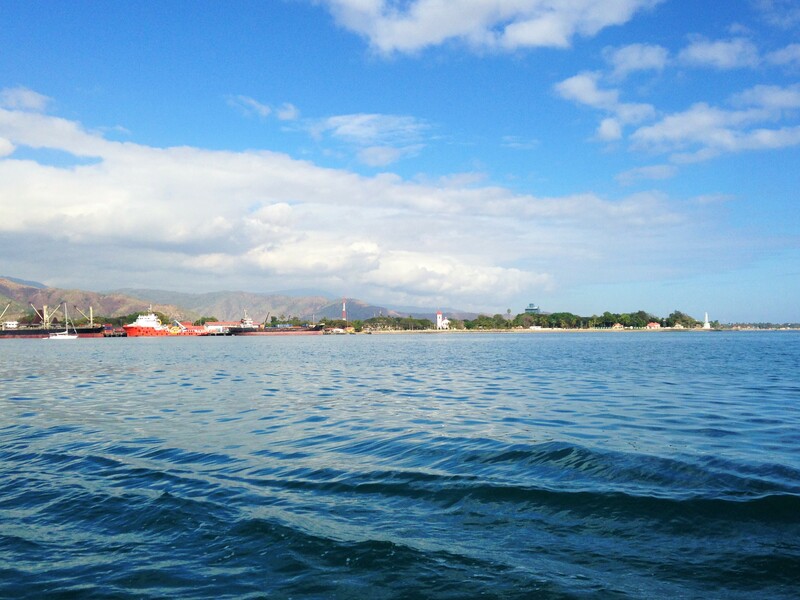 The boat was powered by a small engine, and didn’t go overly fast, however it was rather nice to have the breeze through my hair, admiring the scenery as we pulled out of Dili. The water was perfectly calm for the first hour, but did become slightly choppier as we reached deeper waters – it wasn’t scary or dangerous by any means, quite fun in fact if you don’t mind accidently competing in a wet tee-shirt contest. The crewmen indulged in an early morning beer and a few cigarettes as they scooped water from the boat. I was petrified that my camera equipment would be as drenched as I was, but thankfully their packing skills were on point, and not a single item beneath the boat was damp. Although we could not understand the other’s language, the crewmen and passengers made sure we were happy and as comfortable as we could be. As we approached Atauro Island, the scenery was fantastic, and the water incredibly clear aqua. We diverted around the coast to the eastern side of the island, arriving at a small village called Vila. A tuk-tuk waiting at Vila cost $2 USD to take us to Beloi, where we were staying at Barry’s Place. The crewmen unloaded our bags from the boat as we stood on the beach, basking in the view of Timor Island in the distance. The journey took just over three hours, but was well worth the effort! If you want a local, authentic mode of transport, I would encourage anyone with a bit of time to take a local boat from Dili to Atauro. 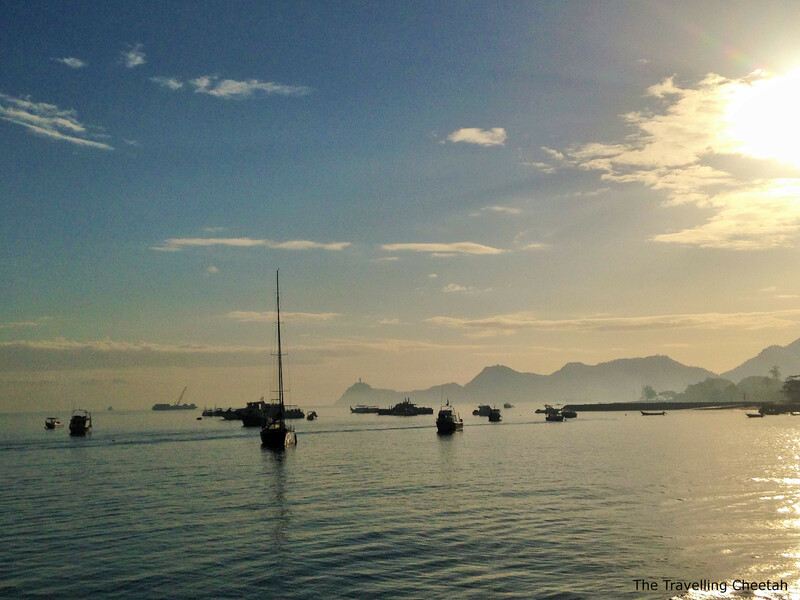 The boats leave Dili at 9am, and the return trip leaves at 3am from Vila. I wasn’t as keen to make the trip early morning in the dark, so I instead opted to fork out tourist prices to catch a boat back to Dili at a more reasonable hour.